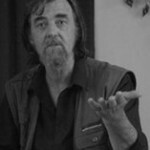 Pavel Šrut (1940-2018), poet, author of song lyrics, children’s stories, fiction and feuilletons, also a translator and cultural editor. 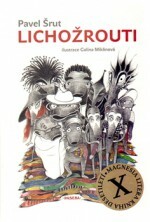 He was included in the IBBY Honour List twice (1992, 2006), won two Golden Ribbon awards (2004, 2005), was nominated for a Magnesia Litera four times and won one in 2009. He was awarded the Karel Čapek Prize (2012), the Jaroslav Seifert Prize (2000) and the State Prize for Literature (2015). His books have been published in translation abroad, including English, Spanish and Polish. Haunting and beautiful, Pavel Šrut’s lyric style expresses both the hollowness of loss and the vitality of forbidden preservation. He graduated in English and Hispanic Studies; under the totalitarian regime he was not allowed to publish and his texts came out in samizdat form. 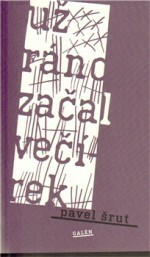 He first published his poems in magazines in 1960, and they came out in book form as Noc plná křídel (A Night Full of Wings, Československý spisovatel, 1964), followed by Přehlásky (Umlauts, Čs. 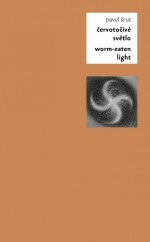 spisovatel, 1967) and Červotočivé světlo (Worm-Eaten Light, Čs. spisovatel, 1969). 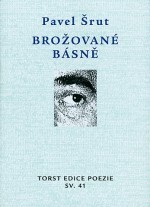 From his dozens of collections, it is also worth mentioning the lyrics for Framus 5 for the album Kolej Yesterday (1990), and Brožované básně (Paperback Poems, Torst, 2000), which summarizes the author’s work from the 70s and 80s and for which Šrut was awarded the Jaroslav Seifert Prize. 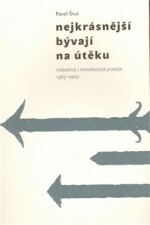 He translated the Latin verse of Eugen Brikcius in the collections Holou na kaktus (Naked on a Cactus, samizdat, 1979) and Cadus rotundus – Sud kulatý (Round Barrel, Čs. spisovatel, 1993). “To strictly differentiate between Pavel Šrut the poet and Pavel Šrut the author of books for young children would be, if not directly misleading, then at least somewhat deceptive. 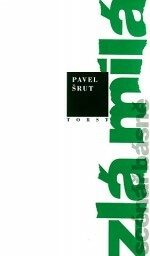 These two aspects of his work have always significantly influenced each other, and many elements of the poetics which Šrut employed in children’s literature also appear to a considerable extent in his poetry; for example, the creation of a comic effect through homonyms or the use of inventive, playful rhymes. 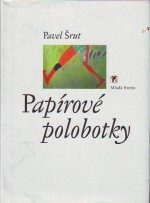 Nor should we ignore the fact that childhood, a child’s view of the world and the relationships between children and adults are among the key themes of Šrut’s lyric poetry, from the early verses (Noc plná křídel) to those of recent years (Papírové polobotky – Paper Shoes),” explains Martin Pšenička in his portrait of Šrut. 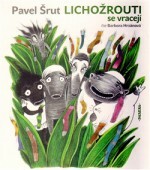 Šrut began writing for children in the sixties, with his first published work being Petrklíče a petrkliky (Primroses and Trimroses, SNDK, 1966), followed by Kočka v houslích (The Cat in the Fiddle, Severočeské nakladatelství, 1969), Motýlek do tanečních (A Butterfly for Dance Lessons, Albatros, 1969) and Kočičiny (Cat Tales, Orbis, 1992). These were followed by dozens of verses, fairy tales and retold or translated stories and rhymes for children. 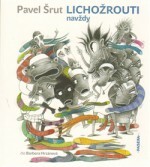 Among the most important are Hlemížď Čilišnek (A Snail Called Snail, with illustrations by Jiří Šalamoun, 1983), adaptations of Irish and Welsh fairy tales entitled Kočičí král (The Cat King, 1989) and of Petr Pan (Peter Pan, 1997), the variations on African stories Pohádky brášky Karlíka (Brer Rabbit Fairy Tales, Knižní klub, 2007), the collection of 366 stories for every day of the year Verunka a kokosový dědek (Verunka and the Coconut Grandfather, Brio, 2004) with illustrations by Galina Miklínová and, together with the same illustrator, the famous trilogy Lichožrouti (The Oddsockeaters, Paseka, 2008, 2010 and 2013). His work is characterized by playfulness, originality, juggling with language and creating new expressions, inventiveness in coming up with extraordinary heroes and at the same time moderation and refinement. Since the seventies Pavel Šrut has translated important American and British authors including Updike, Shakespeare, Graves and Salman Rushdie, and he has also translated the song lyrics of Leonard Cohen. A collection of his journalistic texts and feuilletons from the years 1990 – 1997 has also been published under the title Konzul v afrikánech (The Consul in the Marigolds, Petrov, 1998).